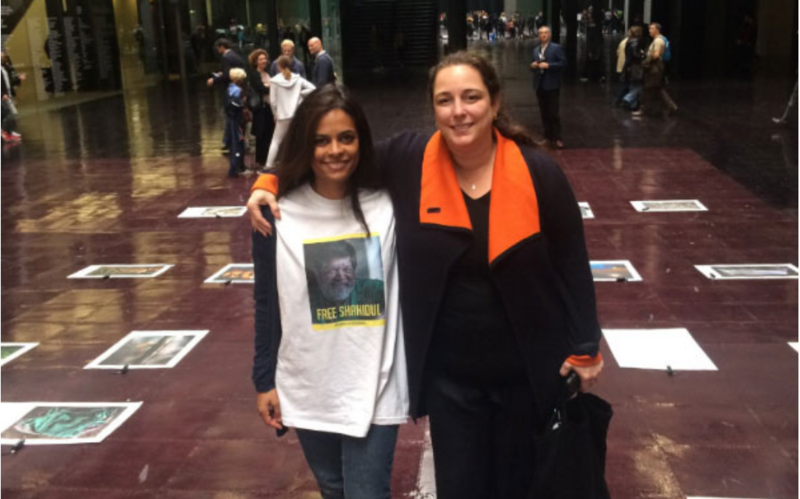 Cuban artist Tania Bruguera staged an impromptu protest to support photographer Shahidul Alam jailed in Bangladesh. He was detained on August 5 after an interview with Al Jazeera, in which he criticised the country’s authorities. 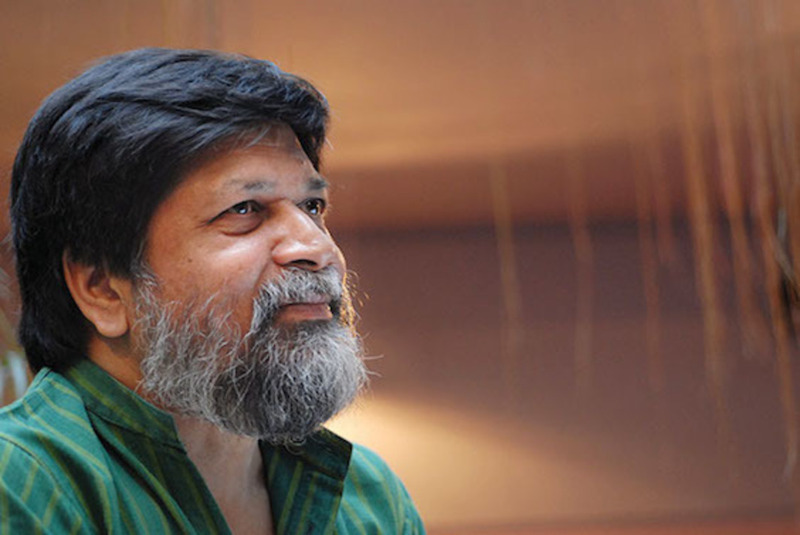 Alam’s story, which reveals how the Bangladesh government stifles freedom of speech, has drawn attention of cultural and political figures from across the world. Artists and academics, including Nobel Piece Prize winners, showed their support for the photographer. Now, Bruguera has joined them. 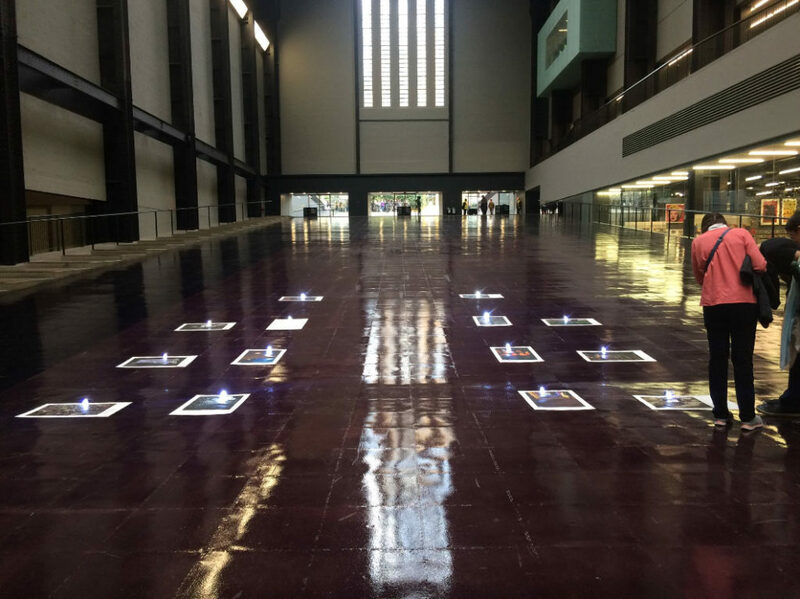 For her protest, Tania Bruguera put a selection of Alam’s works on the frloor in the Turbine Hall of the Tate Modern, topped the photographs with flashlights and added a description to each work. Her own exhibition at the same gallery, 10,143,210, is dedicated to the international migration crisis. The show features audio and video installations. Alam’s photographs were selected from his project Crossfire, a series of documentary photos featuring extra-judicial killings by the Bangladeshi government’s Rapid Action Battalion (RAB). The authorities claimed the victims were killed in crossfire. Alam shot most of the pictures using a flashlight. Though the artist did not inform the Tate of her intervention, the staff decided not to remove Alam’s photographs. Bruguera says it is a gesture of solidarity. Visitors take pictures of the intervention. Alam has spent in jail more than 2 months. His bail hearings were delayed several times, giving the authorities ground to keep him behind bars.